Premier League 2018-19: Were things almost looking too good for Newcastle United fans on Wednesday? Newcastle United and manager Rafa Benitez appeared lost to begin the 2018-19 Premier League campaign. Winless through their first ten matches, the season almost seemed destined for failure. However, the past few weeks have shined a brighter light on the overall situation, and that continued on Wednesday evening at Everton. 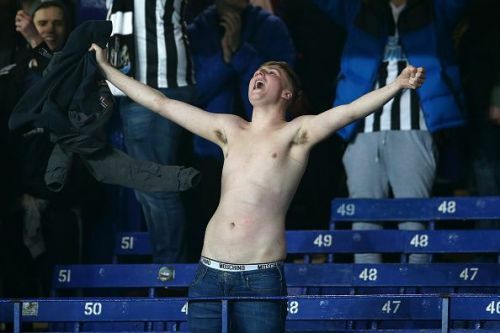 Newcastle earned a hard-fought 1-1 draw at Goodison Park, thanks to a first-half strike from Salomón Rondón. The Venezuelan international has shown great instincts near goal, displaying that skill yet again as he got on the end of a superb cross from Jacob Murphy. The Toon came close to finding all three points late, but could not quite get it done. Still, after a disheartening loss to West Ham, this was a fantastic response from Benitez’s group. Against a talented (and expensive) Everton side, Newcastle demonstrated their impressive ability to put together a collective effort. Another aspect that stands out was the formation utilised in the match. Benitez chose to use five defenders versus Everton. Fabian Schär, Jamaal Lascelles and Federico Fernández were in central defence, with DeAndre Yedlin and Javier Manquillo as the wing-backs. While this formation brought about problems when it was experimented last term, it was crucial to seeing out an important result this week. Schär was particularly impressive on Wednesday, recording five tackles and winning six aerial duels. With sharp positioning and intelligent movements, Newcastle’s defenders can close down space quickly and frustrate the opposition’s attack. Similar tactics were seen in a recent match at Burnley, which ended in a 2-1 victory for United. It is, of course, a conservative approach and does not always guarantee much production in the final third. However, when Newcastle are able to strike on a counter-attack as they did against Everton, five defenders at the back can help to protect a lead and secure precious points. This week has seen more takeover talks for Newcastle, with owner Mike Ashley stating that he is in the advanced stages of selling the club. There is every reason to be sceptical, although reports on Wednesday seemed to suggest that there could actually be more to the story (keep an eye on the airport, some might say). Along with that, transfer rumours are pointing towards the club securing the signature of Atlanta United star Miguel Almirón in January. A good week for Newcastle United fans? Say it again, but louder for the folks at the back. Newcastle United return to action Sunday versus Wolverhampton, where a planned boycott from some supporters could make for unique scenes at St. James’ Park.